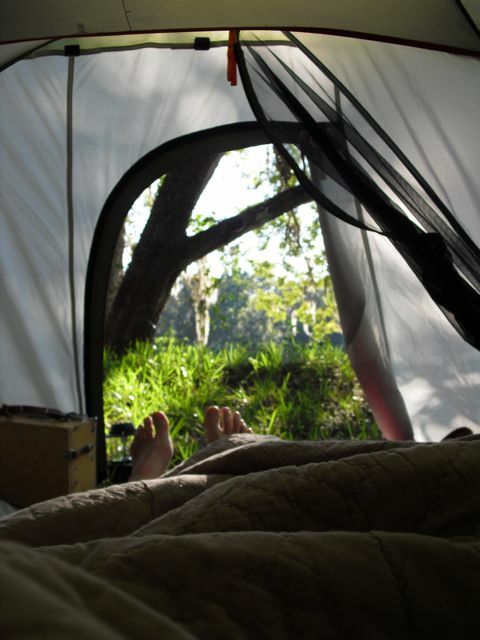 My first experience with Paddle Florida was at Suwannee River State Park in March 2008, where my band, the Weeds of Eden, was the evening's entertainment for weary paddlers. I got there early, so I'd have time to paint. I'd assumed that the people who joined a group like Paddle Florida were all young and athletic. 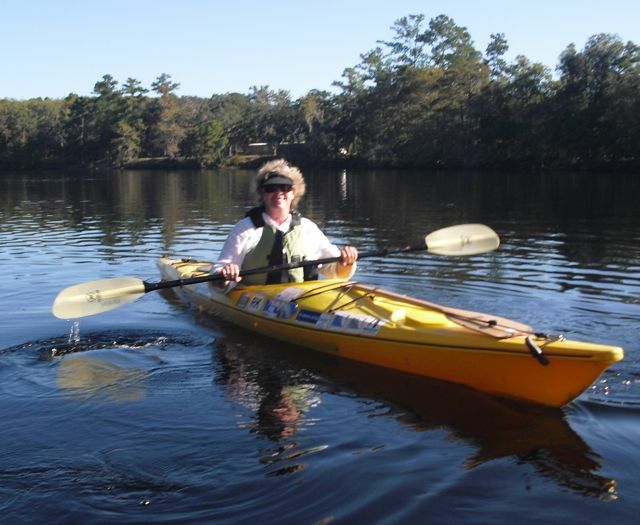 As the paddlers pulled their kayaks and canoes up on the bank, I was pleasantly surprised to see that most of them were actually closer to my age, and I realized that a week-long trip down the Suwannee was completely within my realm of possibilities. A year or two later, that dream became a reality. I brought a box of paints and my camera, along with my kayak and camping equipment. I'd done a bit of river camping in my youth and appreciated the truck that carried all my bulky camping supplies campsite to campsite. Since everything didn't have to fit in my boat, I had the luxury of a thick air mattress, a soft pillow, and a down comforter. The river was beautiful! 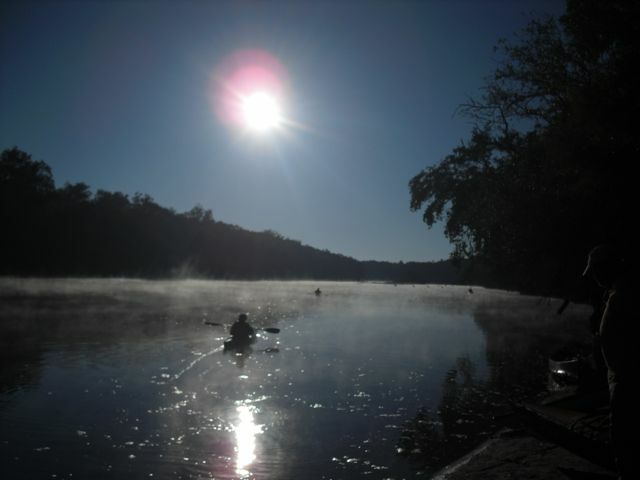 Our early morning departures, paddling silently through the mist as the sun rose, were a rare and wonderful treat. 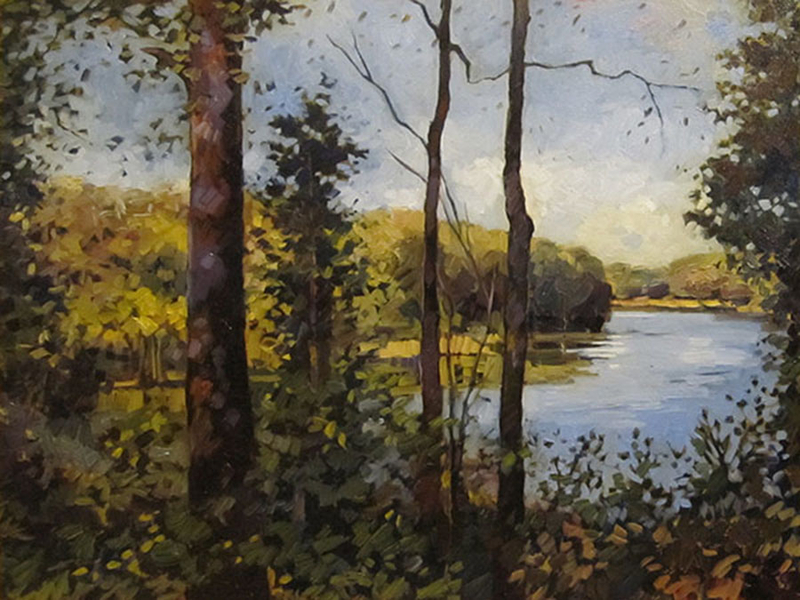 We camped along the river, and most days I had enough energy left over to get a little painting done after I set up my tent. 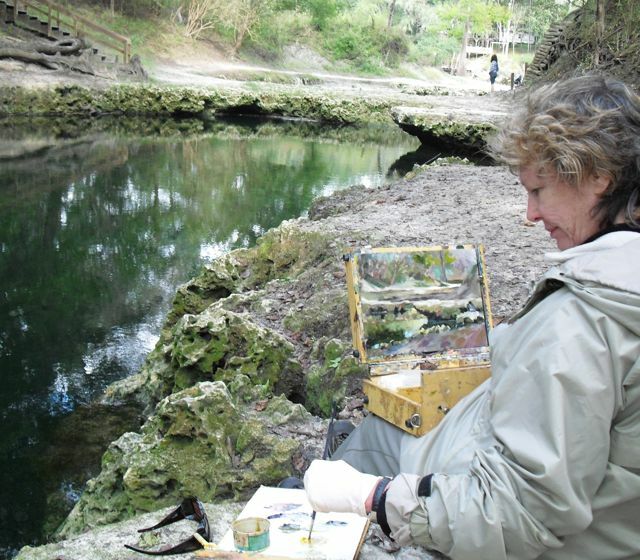 I have a small self-contained oil painting kit that's great for traveling. 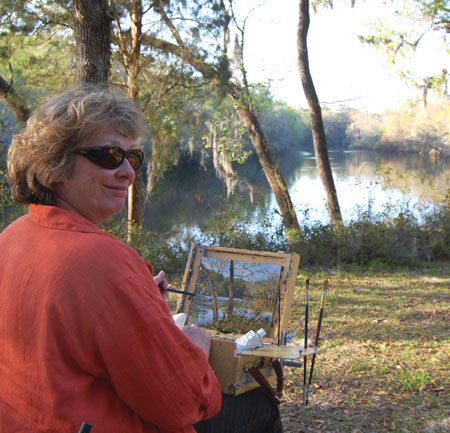 Since my trip, the photos I took as I paddled along the beautiful Suwannee have inspired many paintings. My studio is in downtown Gainesville, at 113 South Main Street. 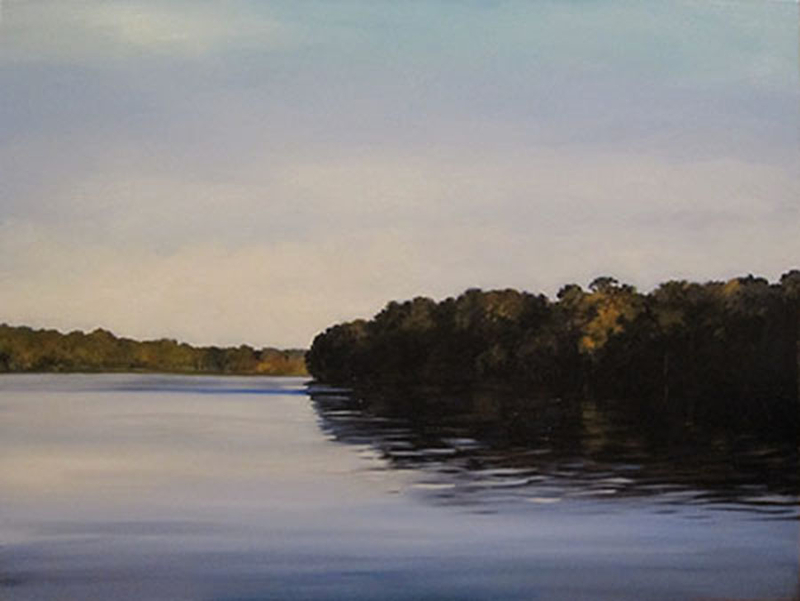 If you'd like to come by to see my paintings, give me a call (352-316-1751) to arrange a time for me to meet you there. You can also see what's currently available at www.EleanorBlairStudio.com.